Are you an accumulator or trader? Value investors (such as Warren Buffet) look at the process of investing as a way of accumulating good value investments that are worth holding for life. Other equity speculators watch trends so they can get in and out of markets when they are about to rise or fall. 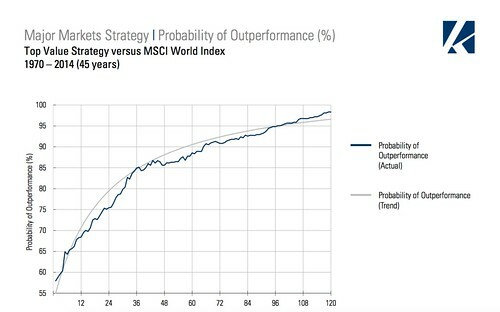 Each side has argued, probably since stock markets began, “which tactic is best”. The truth is both approaches can work well… long term. Each strategy, under certain short term conditions, does not perform well. 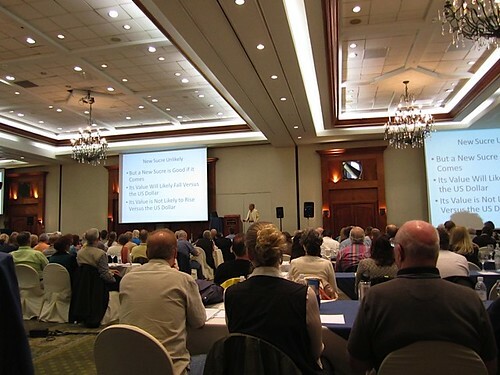 The Purposeful Investing Course (Pi) serves both strategies. 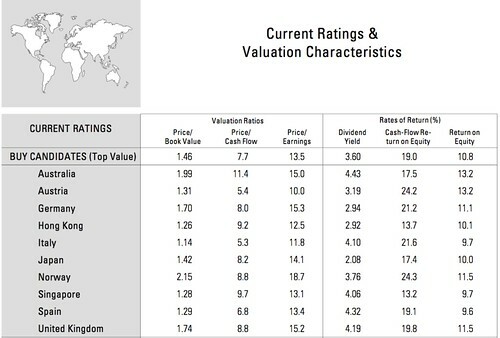 Once a quarter Pi studies Keppler Asset Management’s “Top Value Developed Market Analysis” to determine overall global stock market values. For example recent Pi lessons reviewed how top value developed markets performed in the last quarter of 2018. 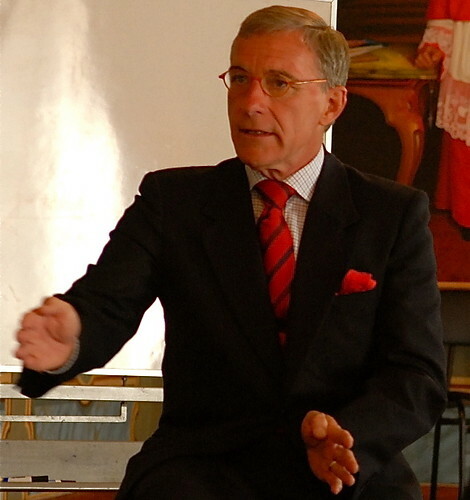 The first such lesson reviewed the Italian stock market because it had the lowest price-to-book value of all developed stock markets and offered the third highest, average dividend yield. Italy’s price-to-book was 1.14 and its average dividend yield was 4.10%. The lesson compared those values to the 3.51 price-to-book of the US market and its 1.85% dividend yield. 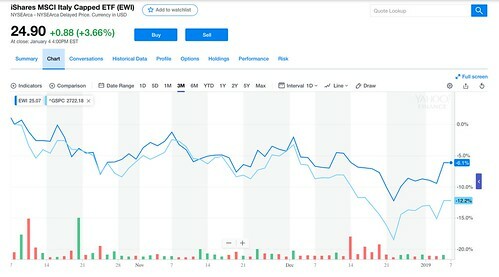 Then the lesson looked at how a finance.yahoo.com chart (below) that shows that the iShares Italy ETF (symbol EWI) lost about 6.5% over the quarter, but overperformed the S&P index which fell about 12% in the same period. Value accumulators who bought and held EWI, a December 2018 1.25% dividend mitigated some of the loss. Much of the apparent loss in this ETF was due to the rising strength of the US dollar as the euro based share price drops when the greenback rises versus the euro. The chart above shows that the euro fell 1.14% to the US dollar so EWI actually fell only about 4.11% (after dividend and without the forex loss) compared to the S&P 500 12% drop. Traders on the other hand, who use Tradestops.com to move in and out of markets, did not participate in Italy through the last quarter of 2019. EWI was stopped out at Tradestops in August 2018 so they missed the loss in their portfolio. The other question is “will the reentry alert come up fast enough and move the traders back into the Italian market before any fast recovery spurt”? In summary… traders did best for the time being and they are not holding EWI in their portfolio at this time. Accumulators who buy based on value rather than market trends have seen their current value of their EWI holding drop by 6.5% but received a 1.25% dividend paid December 2018. Based on this The iShare MSCI Italy ETF looks like it remains a good value for accumulators to hold and a market for traders to carefully watch. How much stress is there… in the USA? According to a survey by the American Psychological Association there are so many stress points in America that nearly 60% of the population feels that this is the lowest point in the nation’s history. If you missed part one of this report click here. Whether this is correct or not (that our nation is in that much of a mess), one fact is clear… shortly, a lot of American investors will be slaughtered. The US stock market bull is very mature and has shown every sign of heading down. The only real question is will the drop be gradual or sudden and severe. If the drop is hard, many investors will lose a lot of money. There will be more stress! The American Psychological Association poll found that money concerns continue to nag at Americans even though the economy is in a boom. Imagine what happens in the next economic contraction. The report found that financial worries created significant stress for 64 percent of adults. Stress over money is about more than wealth. 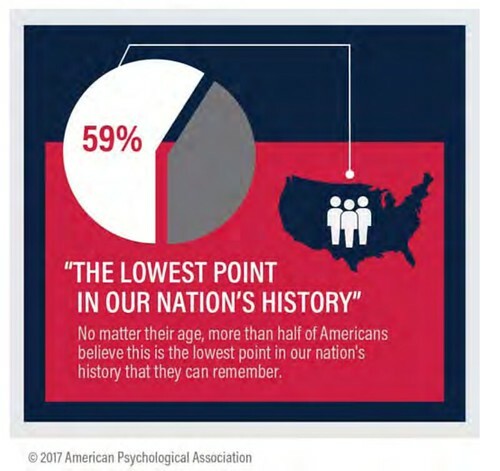 The American Psychological Association report is titled “Stress in America: Paying With Our Health”. Health and wealth are connected. 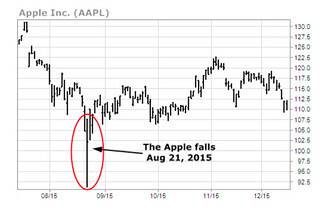 When the price of stocks we own drop… especially quickly and sharply, our body perceives a threat. Our brain activates our adrenal glands which dump stress hormones, cortisol and adrenaline, into our blood stream. Adrenaline increases heart rate and elevates blood pressure. Cortisol increases sugar in the bloodstream and prepares you to fight or flee. The cortisol diverts energy from the immune and digestive system. Why is this Stress Response dangerous? When stressed we are ready for fight-or flight, but we are sitting at a desk or in front of a computer, with nothing to fight, but our fear. We have nowhere to go. Without a release, this constant stress leads to lack of sleep which adds to the stress and leads to health imbalances. Stress disrupts focus, creates sleep problems, headaches, muscle tension and digestive disorders. Prolonged stress can bring on heart disease, skin conditions, depression, pain and discomfort, obesity, diabetes, dementia and more It’s also been linked to accelerated aging and higher risks of premature death. This report looks at mathematical evidence provided by three experts on why value investments can reduce stress by increasing your profits and safety by shifting from growth investments to value investments. Part one of the report looked at a graph by the first expert CEO of ENR Asset Management Eric Roseman that shows how value growth investments have outperformed value investments since 2007. This part of the report shows a graph and warning by the second expert Dr. Richard Smith, founder and CEO of Tradestops.com (1). Remember, growth stocks are stocks that are anticipated to grow at a rate significantly above the market. Value stocks trade at a lower price relative to their fundamentals than growth stocks. These tend to be more mature companies that have been trading for a long time. Many of the value stocks pay dividends. 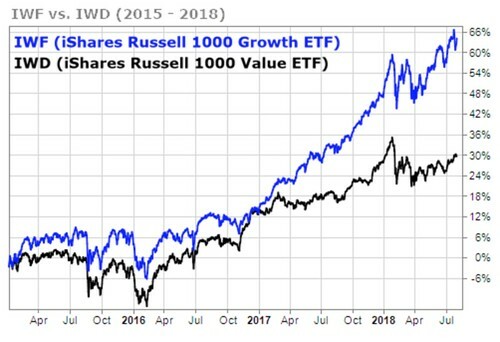 Ten days ago, we showed you this chart that shows the dramatic outperformance of growth stocks compared to value stocks over the past three years. Dr. Smith explained that value stocks have been underperforming growth stocks, but we should watch out for a change. Any time a sector of the market has been outperforming for a decade and suddenly accelerates its upwards spurt, it’s moving towards a loss of momentum. Value stocks have always outperformed growth stocks long term (ask Warren Buffet about that). Dr. Smith warns that we should not just rush out and blindly sell our growth stocks or buy every value stock. He recommends using math to find the best value stocks for each individual portfolio. There is an an added benefit to investing long term in value stocks. They generally pay dividends and have low volatility. Owning this type of share can be less stressful. The lesson in this portion of the report is that value stocks always win long term, but have been the underdog for a decade. The recent three year rise of growth stocks suggests that value shares are nearing their time to become the dominate sector now. 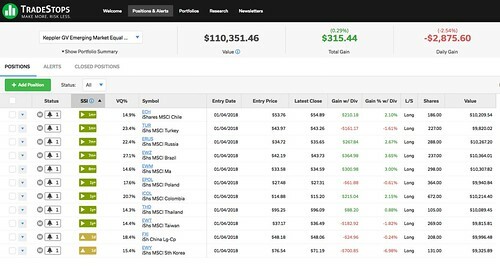 We sent an important lesson to our Personal investing Course (Pi) subscribers that reviewed the math behind the 2018 Pifolios that we are tracking in the course this year. The biggest benefit of purposeful investing, and our ongoing study of global equity market value in the Pi, was summed up in a Thursday, February 8, 2018 New York Times article entitled “For Millennial Investors, a Harsh Lesson in Market Gyrations”. That “punch in the gut” is the emotion that ruins most investors. Pi helps subscribers learn how to use math and logic to overcome this destructive emotion. The chart below (shown in British pounds), shows how if we invest long term, we’ll make money. 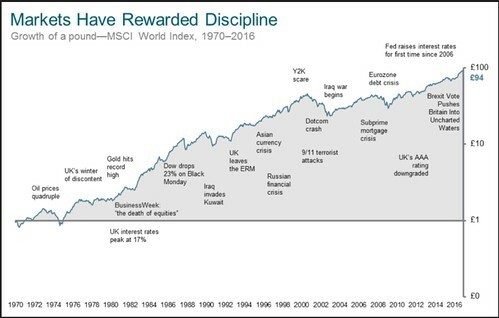 Most investors lose because that “punch in the gut” causes them to panic and become short term investors at the worst possible time when there are severe corrections such as in 1973, 1987, 1990, 2000 and 2007. Greed and even more so, fear are an investors worst enemy! Three keys to good investing are to find value, keep costs low and match the timing of investments to liquidity needs, (so shares do not have to be sold when shares prices are temporarily down). We need some belief, some anchor, some discipline that helps us maintain equilibrium when markets crash and we feel a punch in the gut. Pi helps us accomplish this in several ways. First, Pi helps us understand how Keppler Asset Management spots the best value equity markets. Diversifying in these markets with country ETFs has provided good long term results. Second Pi helps us track the trends of these good value country ETFs by following Tradestops.com because short term spurt up or down does not create a trend that we need or should act on. How do we know when a spurt or a crash is a signal and not just noise? We track the good value shares in our Pifolios using Tradestops.com’s Stock State Indicators. 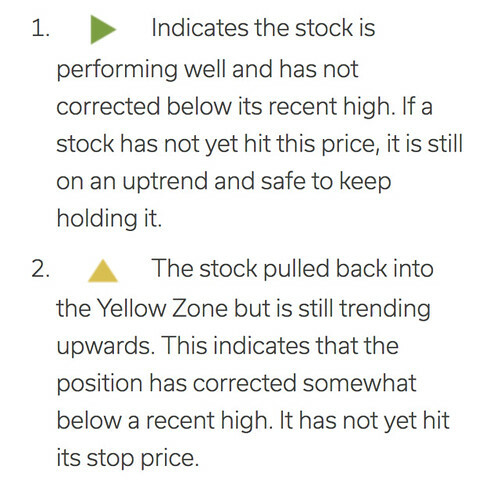 The Stock State Indicators use math based proprietary algorithms created by Dr. Richard Smith (founder and CEO of Tradestops) to signal the trend of each stock and use this math to decide that a stock is performing well, or is in a period of simple correction, or is at risk of further, serious, decline. The Stock State Indicators help us keep emotions out of investing. Dr. Smith has taken the typical trailing stop to another level. Instead of a blanket percentage, he has created algorithms that evaluate each individual stock’s behavior to discover their personal volatility levels (also known as the Volatility Quotient or VQ%). 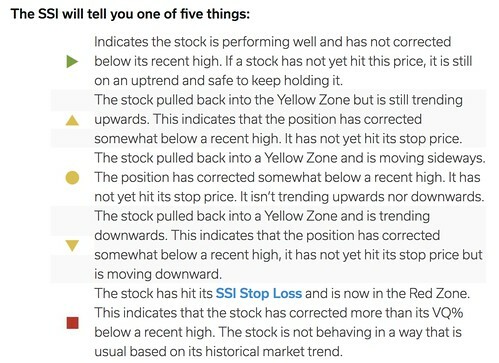 Here is what Tradestops says about Stock State Indicators. The first pifolio is the Keppler Good Value Developed Market Pifolio 2018. 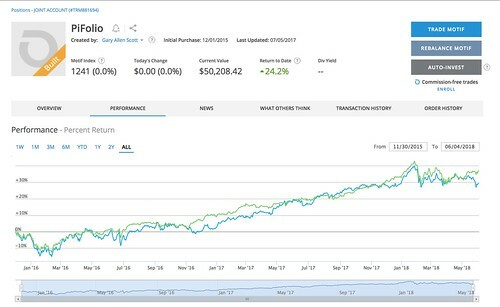 This portfolio began January 4, 2018 and is down 1.12% (after rising 32.6% in 2017). On the 8th of February eight of the ten markets in this Pifolio remain in the green zone, though two (Japan and Germany) briefly fell out. They have been back into green for just two days. Two shares (England and Singapore) are being watched more closely. The second Pifolio is the Keppler Good Value Emerging Market Pifolio 2018. This Pifolio also began January 4, 2018 and had a similar positive ratio on February 8th with nine shares remaining green and two markets that just slipped into yellow. 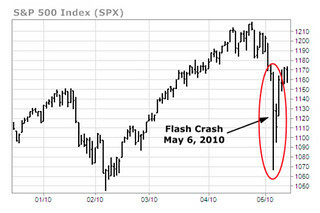 The US crash impacted these markets as well and added two alerts. This mathematical analysis suggests that the recent sharp declines are still, currently noise. No downward trends have yest been established. The current stability gives each of us time to decide, whether we’ll hold or sell positions if the slide continues. Look at your liquidity needs for the next four years and decide if you are a trader or not? The four year projections at Keppler Asset Management show that global markets will continue to rise during this period. Make a rational, logical plan that suits your needs. Don’t wait. Make the plan now and stick with it even if you feel a punch in the gut. Subscribe to Pi now, get the 130 page basic training, the 120 page 46 market value analysis, access to over 100 previous Pifolio updates, the “Silver Dip” and “Three Currency Patterns For 50% Profits or More” reports, and value investment seminar, plus begin receiving regular Pifolio updates throughout the year. There is power in investing thrift. Avoid frequent trading. Reduce investing costs. Don’t get ripped off by Wall Street. How bad are the thieves who are supposed to look after our money? The big guys can cheat their customers again and again. The New York Times article above shows how this bank has ripped off its customers for a third time in just one year. The article says: Wells Fargo, the scandal-plagued bank, is facing new regulatory scrutiny for not refunding insurance money owed to people who paid off their car loans early. This is the third such incident revealed in just the last year, for just this bank. How many shenanigans are not revealed in this industry? 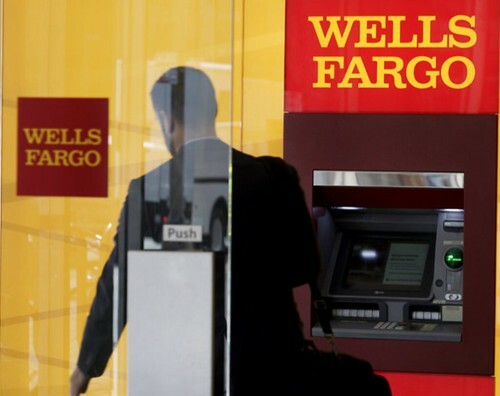 Last year, Wells Fargo bank employees created millions of credit card and bank accounts that customers had not requested. They robbed customers of millions. Last month, this same bank was found to have forced unneeded collision insurance on consumers who financed their car purchases. That practice hit 800,000 customers caused 274,000 people to be delinquent and 25,000 cars to be wrongly repossessed. Now the Federal Reserve Bank of San Francisco is investigating a different insurance rip off related to a different type of insurance called guaranteed auto protection insurance, or GAP. It is not mandatory for car buyers to carry GAP insurance, which typically costs $400 to $600. But car dealers push the insurance, and lenders like it because of the protection it provides. When borrowers pay off the loans early, Wells Fargo should have provided a refund of some of the GAP insurance premium. Guess what… they did not. We are on our own! We should not expect the authorities to protect us. The Wall Street Journal article “When Brokers Want to Move Your Money Out of a Very Good Thing” (2) explains why. The article says: So far this year, here’s what our friends in the federal government have done for — and to — citizens who hope to find simple ways to save enough money for retirement without anyone robbing them blind. ■ Continued a year’s long fight against a rule that requires many retirement advisers to act in their clients’ best interests. The article tells how brokers allegedly persuaded about 200 people to move money out of a safe government plan and put the funds in expensive annuities, earning hefty commissions. The overall costs in the government plan are about as low as employer-based retirement savings plans get, about 38 cents for every $1,000 someone had invested. Moving investors out of the plan earned four brokers about $1.7 million in commissions, at the investor’s expense. Once again Wall Street used investors hard earned savings to line a broker’s pocketbooks. We publish The Purposeful investing Course (Pi) to help readers improve their investment trading discipline so they can increase profits, reduce risk, reduce trading costs and save time. The core of the Pi strategy is to use math based financial news to invest in a portfolio of equities in the best value stock markets using country ETFs. These mathematically calculated valuations do not change quickly, and the portfolios researched by Pi have not traded once in the last two years. This creates an enormous thrift. Here is an excerpt from a recent Pi Update that looks at two strategies for dealing with market downturns but keeping costs down. The first strategy is hold on and continue to accumulate value. This works well if an investor has time for the portfolio to ride before cash is required. If one sticks to the strategy (and does not bail out at the bottom), this strategy requires the least time. Investors can focus on more important aspects in life. Plus trading costs are kept at a minimum. 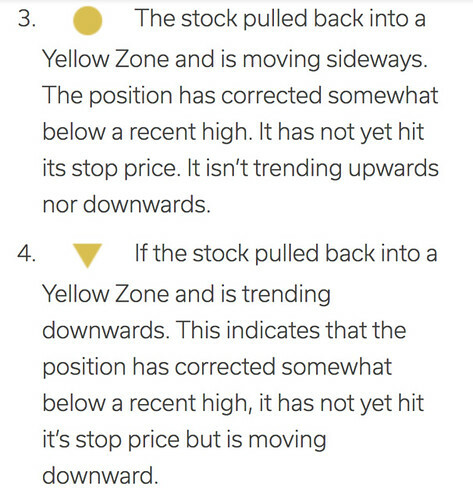 The second strategy is to use math to spot trends and use trailing stops (based on market momentum not entry price) to get out of a market before it severely declines. This strategy offers the best long term profit, IF an investor can stick to the strategy AND ALSO uses the same math to get back into the market as it recovers. At Pi we track market momentum in all the Pi ETFs at Tradestops.com. We are well into the ninth year of a bull market that has barely seen any 10% corrections, much less a 20% drop. But warning signs that this bullish market are coming to an end have begun to show up. #1: The short-term trend of the Dow Jones Transportation Average (DJTA) was to the downside, yet the short-term trend of the DJIA was to the upside. The Dow Theory states that (DJTA) must also be trading at new highs for the new highs of the Dow Jones Industrial Average (DJIA) to be confirmed, otherwise the trend of the DJIA is not sustainable. 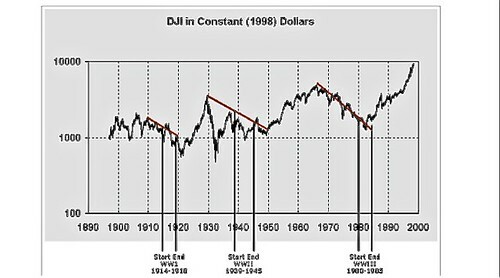 Since 1999, each time this has occurred has been the precursor of a downward move in the DJIA. 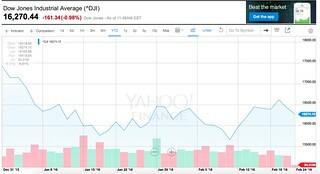 #2: The divergence in the DJIA and the Nasdaq Composite Index (COMP). The DJIA was trading at new highs, yet the COMP was trading more than 2% off its most recent highs. Since 1971, there have been 12 times that the DJIA has been at new highs with the COMP at least 2% off its highs. In 9 of the previous 11 occurrences, the DJIA has moved lower. #3: Commercial traders in the DJIA had a historically-large net negative position. When their positions have been negative in the past, it has led to downturns in the DJIA. 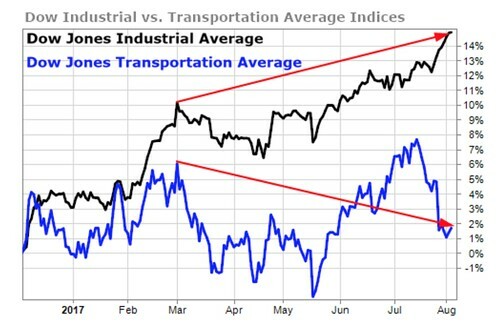 Last week Dr. Smith warned again in an editorial titled “Is the Bear About to Pounce?” and pointed out that the divergence of the Dow Jones Transportation Average (DJTA) from the Dow Jones Industrial Average (DJIA) has grown. The short-term trend of the DJTA is to the downside, yet the short-term trend of the DJIA is to the upside. The benefit that Tradestops offers investors is a Stock State Indicator of specific shares that suggests price levels for rising trailing stops as the markets rise. Dr. Smith also wrote in last week’s editorial: “No matter what happens with the markets, however, I’m not worried. I’ve got my stops in place. I know what I’ve got at risk and I’m comfortable with it. Could something go terribly wrong? You bet. That’s what my stops are for. They’re like having your seat belt on in the car. “On the other hand, could something go terribly right? Absolutely! The entire summer has seen the stock market climb a wall of worry to new all-time highs. Just today we saw stronger than expected job creation. Upside surprises are always a possibility. Warnings of a Wall Street crash lead us to other important questions. Will other stock markets fall in tandem with the US? Will other stock markets rise as investors pull out of the US and invest in other markets. Whatever the answer, the best place to be is still in good value markets. The best strategy is still to use math based financial news to reveal good value and to invest equally in good value markets. 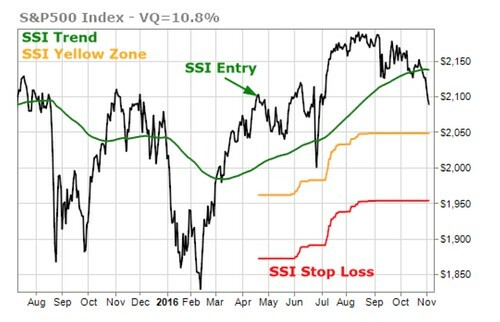 Trailing stops is an additional way to protect again a global secular stock market slide. Pi uses math to reveal the best value markets. Pi also uses math at Tradestops.com to see the momentum of these good value markets. For example, we can see that all the ETFs in the Pifolio have green SSIs (Stock State Indicators). 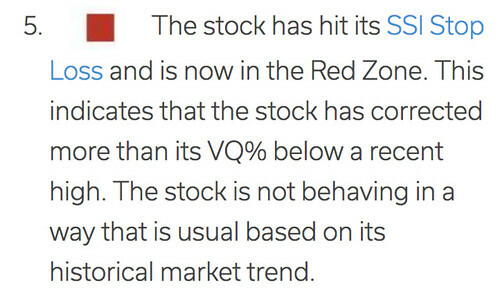 The Stock State Indicators at Tradestops.com act as a full life-cycle indicating the health of your stock. They are designed to tell you at a glance exactly where any stock stands relative to Dr. Smith’s proprietary algorithms. What this signal indicates is the current health of the stock (performing well, or in a period of correction, or stopped out). Momentum based on the latest 521 days of trading is a key component of the Stock State Indicator (SSI) system. A stock changes from red to green in the SSI system only after it has already gone up a healthy amount and has started a solid uptrend. Below are the Major and Emerging market Pifolios that we track at Tradestops.com. Click on images to enlarge Equal Weight Good Value Developed Market Pifolio. All the ETFs in the Developed Market Pifolio currently have a green SSI. This is also the case for the Good Value Emerging Market Pifolio below. Good Value Emerging Market Pifolio. The fact that the Pifolios are invested in good value markets reduces long term risk. Additional protection can be added by using trailing stops based on the momentum of each stock in the Pifolio. Take for example, the iShares MSCI United Kingdom ETF. This ETF has a green SSI at this time. Pi purchased the share at $31.26 and it is currently at $34.43 and rising. Tradestop’s algorithms suggest that if the price drops to $31.69, its momentum will have stopped and it is trading sideways. The stop loss price is currently $29.86. If EWU continues to rise, both the yellow warning, and the stop loss price will rise as well. There are numerous signs that the nine year US stock market bull will end. No one knows for sure when or how severe the correction will be. When the bear arrives, what will happen to global and especially good value markets? We do not know the answer to this question either. You can learn how to use Tradestops.com to improve investing discipline. Buy on the rumor and sell on the news. The hard part of using this well worn maxim, in today’s world of spin, is figuring out who the heck is listening to the rumors and what truth there is in the news. The election process that just ended so degraded the power of words that it’s really hard to trust anything we read or hear. What are the rumors? What really is the news? This is why it’s good to rely on numbers. Yes, numbers can be used to deceive us (as in statistics). Yet when we apply basic mathematics over broad areas (such as the total value of stock markets) of value (price to book, price to earnings, dividends, etc.) or over long term trends, it is harder to be misdirected by math. Our Purposeful investing Course (Pi) looks at numerous mathematical models that we can use to spot value. One model we study is Tradestops.com. Dr. Richard Smith, the CEO of Tradestops, noticed a pattern that is worth watching. Here are the details, we shared with Pi readers last week before the election, about a way to buy on the numbers and sell on the math. Investors are scared. I’m scared. The anxiety levels in the country are reaching all-time highs. The stock market is about to rally. I’m sorry folks, but that’s the way the markets work … most of the time at least. Yes, maybe this time is different. In general, however, the markets just don’t do what most people anticipate they will do and I’m seeing more and more signs of a significant rally ahead. 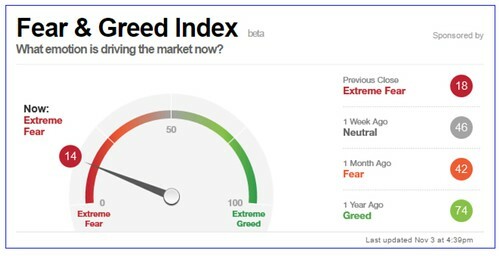 As for market sentiment, the CNN Money Fear & Greed Index tells the current story. Investors are terrified. 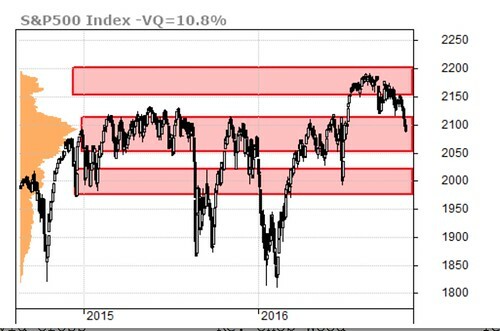 That fear level has been driven in part by a very rare pattern in the S&P 500 – eight consecutive down days in a row. There have only been six occurrences of this pattern since 1978. It sounds scary, doesn’t it? As usual, the implications are not what you might think. Here’s the trade: Buy the S&P 500 after a drop of 8 consecutive days and sell at the end of 145 trading days (about 7 months). What makes this trade so special? Here’s a chart of what happens to the S&P 500 after an 8 day losing streak. As I mentioned earlier, it has only happened 6 times since 1978 and five of these trades were profitable. The average gain for these six trades was +12.5%. Even taking out the stunning 46% gain in 1982, the average gain is still a very respectable +5.77%. My research team looked back at a day-by-day result of this trade. 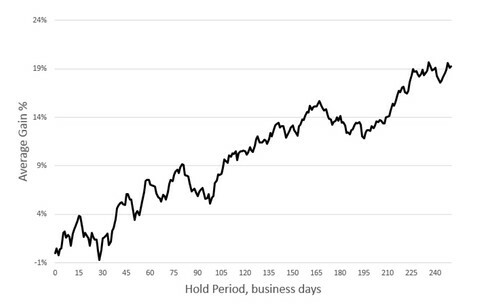 It shows that there is an 87.5% chance to make between 5% and 13% by holding the trade between 70-170 business days. While the naysayers are wrapped up in the negative emotions surrounding the market, I’m looking at the facts. And the fact is that in spite of the 8 day losing streak, the S&P 500 hasn’t even hit the SSI Yellow Zone yet. That’s the power of understanding that the current market correction is well within the bounds of the expected market volatility. We can tune out the noise. As of yesterday’s close, the SPX is still almost 2% above the Yellow Zone and 6% above the Red Zone and the SSI Stop signal. The volume-at-price chart that I like is also showing that there is very strong support halfway between the SSI Yellow Zone and the SSI Red Zone. Another factor that is working in favor of this long trade in the S&P 500 is the Commitment of Traders Chart. Notice what happened right before the Brexit event in late June. 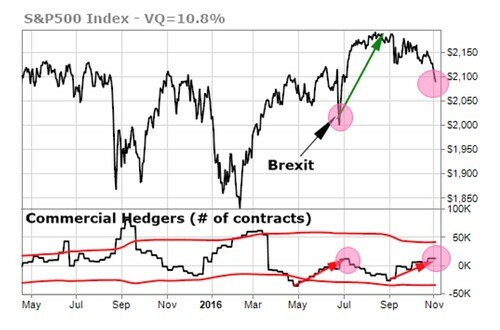 The Commercial Hedgers (the so-called “smart money”) open interest was rising and almost all of the newly-opened positions were bullish. It looks like the same thing is happening in the most recent report. 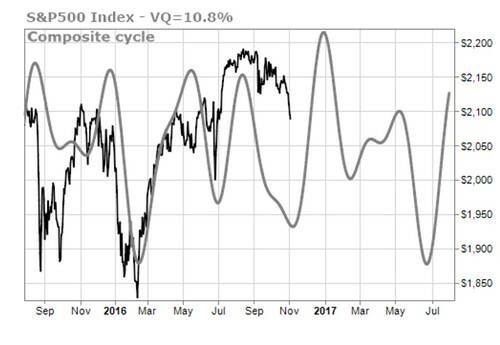 And my composite time-cycle charts are showing that this near-term weakness in the S&P 500 should end next week and begin moving higher into December. We know that every trade has risk. Don’t let the cacophony of negativity make the decisions for you. There are numerous S&P 500 ETFs that could be used in this tactic. We examined four of them in the Pi lesson. One was the Vanguard S&P ETF (Symbol VOO). This ETF is up 11.08% per annum for the last 3 years, 16.30% p.a. for 5 years and 7.88% YTD. Here are the seven most important steps you can take in investing and why Pi strives for “Purposeful Investing” instead of “Profitable Investing”. #1: Have fun doing something you love that is worthy of a purpose in life. #2: Learn the basics because belief in your purpose is vital. #5: Look for contrasts and trends. #7: Bet the most on the positive when events are the most negative. When you integrate fun and purpose in life, the profits come. Striving just for profit is a loser’s game. A New York Times article “Aligning Your Investments with What Motivates You” when it explains the Alpha, Beta, Gamma, and Phi of investing. They represent the progression of thinking about investments and how to judge them. Phi is the newest of these basics. 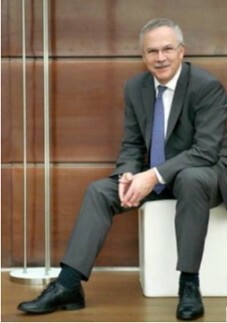 The article says: Alpha measures an investment’s performance against a market index. If the Standard & Poor’s 500-stock index is up 10 percent and a mutual fund is up 15 percent, for example, that 5 percentage point difference is alpha. Beta is the return of any given market. And charting beta is what a passive index fund does. Comparing different indexes’ beta — say domestic equities and international bonds — helps investors in deciding how to allocate their investments. #3) Guaranteed income products (i.e., annuities). Pi the newest factor that investment professions are finally catching onto (we have been harping on Pi’s importance for decades) is to quantify how motivation affects long-term investment returns. The financial giant State Street Corp has a Center for Applied Research Center. The center did an 18 month study of 7,000 individual and investment professionals to get a better understanding of the role incentives play in making investment decisions. The study examined what motivated a person to invest, or not, in the first place. The study found that main investment motivations are market-based motives. Sometimes it was a passion for markets with individual investors, but mostly the motives are based on fear. Both motivations, the passions or fears, can have a negative effect on long-term performance. A deep sense of purpose is what caused a high phi score. High on phi, in what they are doing, whatever the job. People who invested with socially responsible ideals did best in the study. The dual goal of profit and achieving some social benefit provides a purpose beyond returns. This brings comfort and determination to the investments. The study helped define three aspects of investing that are generally ignored, purpose, habits and incentives. Purpose requires some soul-searching questions about what we each want our life to be. This purpose is more important than the investment goal. The purpose of the money we have becomes more important the amount in the portfolio. Habits come next because we need to create habits and routines that keep us on the path of our unique purpose. However, the market place does all it can to distract us from our goals for the benefit of other’s agendas. Changing incentives to accomplishing a purpose instead of a numerical (percentage or profit) goal helps us adopt better behavior. We react to accomplishing our meaningful purpose instead of drama created by media or short term whims in markets. The study showed that changing incentives in this way improved phi when they had a meaningful impact on a person’s investment strategy. The study found these facts: Every one-point increase in people’s orientation toward investment goals with a purpose — and the scale is 0 to 3 — equated to 42 percent greater odds that the investors know what they are paying in fees, 37 percent greater odds that investors are not rejecting their financial adviser, 38 percent greater odds that the people consider investing in socially responsible investments and 79 percent greater odds that investors will trade less frequently, the research found. As in so many others cases, two of the most important factors of success are keeping costs and trading activity low. These are among the most powerful ways to increase wealth. Having greater fulfillment as well as more wealth is a bonus that we call “Everlasting Wealth”. Whether you like to trade or invest and hold as I do, seek value based on financial mathematical information rather than the spin, rumor and conjecture of the daily economic news. Figure out what is really important in life for you and then find ways to invest in that purpose. When you do, you’ll be on a solid path to everlasting wealth that is not so easily diverted by the daily drama that seems to be unfolding in the modern world. Trailing stops can offer value investments extra value protection during volatile economic times. All of the red and green bars in this chart show that as the market falls, investor sentiment is very uncertain. We may have profits from the long term but they could be wiped out in a sudden drop. Trailing Stops protects our investments from rapid drops. The trailing stop service I work with, Tradestops.com, has two unusual but really smart tips about using trailing stops. Due to the uncertainty of 2016, I want to share them here with you. The First Trailing stops tip is to base your stop on value rather than investment price. TradeStops uses a proprietary algorithm called “Smart Trailing Stops 2.0” (STS 2.0). STS 2.0 is a step up from the typical trailing stop practice. The algorithm uses an automatically-detected “Best High Price from the Past” rather than using an entry date and entry price as the initial point from which to trail the stop. A best high price is a better indicator of value than our investing price because it relies on the dynamics of the market instead of our personal investing activity. This is a better way to stop from buying high and selling low. Using a best high, rather than our investment price as the prime calculator, is a huge advance. This is valuable information! The fact that the STS 2.0 algorithm stops out a share is a red flag that the stock is not behaving normally as it has recently suffered a relatively severe correction. This gives us an early warning. This allows us to maximize profits without leaving a good value platform and if we are holding ETFs, without having to know about or track any of the specific underlying shares! The Second Trailing Stops tip is never put our stops in the market. This tip was recently reviewed in the Purposeful Investing Course (Pi). The lesson on trailing stops looked at a Trailing Stops tactic provided by Dr. Richard Smith. 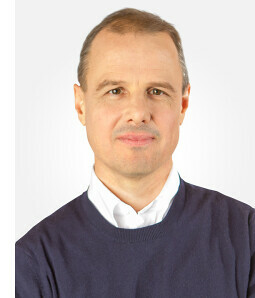 Dr. Richard Smith, is the founder and CEO of TradeStops. Richard earned a PhD in Math and Systems Science, and has applied his education and experience to investing. He spent a decade researching and developing algorithms and services that give individual investors the tools they need to remain in their personal investing comfort zone and to succeed! Here is good advice on how to use Trailing Stops that Richard has shared. These kinds of widespread volatile intraday moves get a lot of attention from the media, as well they should. Sharp intraday moves like these are devastating to investors who are trying to protect themselves by putting stop loss orders in the market. Stops can and do get taken out during these intraday drops. Professional traders call them “wash and rinse” moves because they hose down and wring out unsuspecting investors and traders. That Pi lesson looked at intraday crashes on three more major US traded shares and explained why moves like these are much more prevalent than anyone cares to admit. Their existence is an affront to the façade of fair and orderly markets. Dr. Smith ended that note with three wise suggestions: TradeStops is focused on servicing investors looking to ideally buy and hold stocks for a year or more. What happens between 9:30am and 4pm doesn’t concern us. We’ve got better things to do. We pay attention to where the dust settles by the market close … and we never ever put our stops in the market. 2-Never put those stops in the market.